This announcement is a bit overdue, but I wanted to share it. 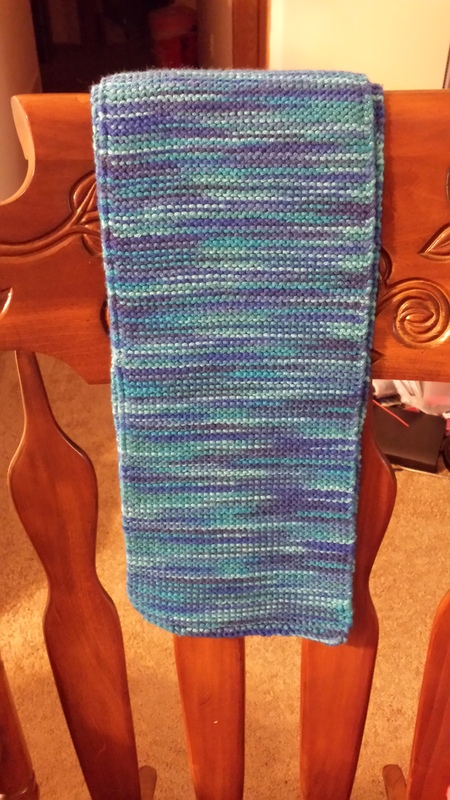 About the beginning of May, I decided to learn to knit. I wanted a craft that could travel well, that I could pick up and put down at a moment’s notice, that I could use to keep my hands busy while out being social or watching TV. 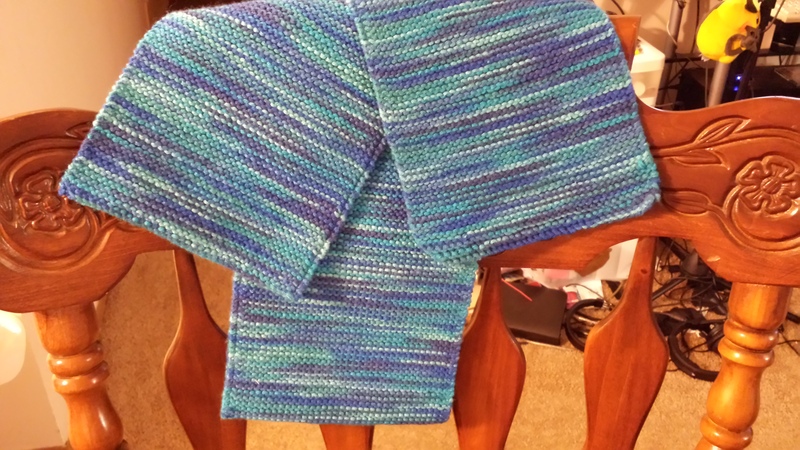 On a Thursday about a week ago, I finished the scarf that I began for that purpose. As you can see, this is a very simply scarf, giving me lots of practice in making rows. I think it came out beautifully. My yarn choice was great. Right after finishing that, I started a scarf of the same style with a different yarn of many colors. I’m pretty proud of myself. Next step: learn to crochet. I hear that is much faster. Thanks! It’s the Red Heart Super Saver Macaw color, which might be my favorite yarn I’ve found so far.